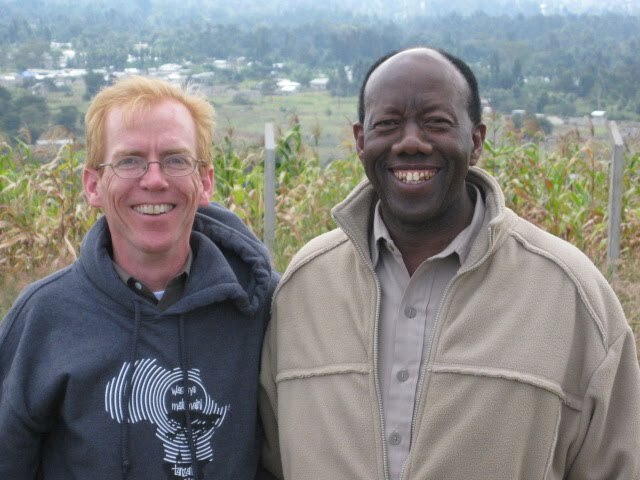 The Bishop & me on the hill overlooking much of Arusha, including the orphanage. He'd like to put a radio antenna and a prayer tower here one day. As we walked the hilltop, we saw an older woman walking thru the cornfield partway up the hill. Turns out she was the one who sold the hilltop to the Bishop. Posted on July 13, 2010, in Uncategorized. Bookmark the permalink. Leave a comment.